Whether you are writing a business proposal, a news article or a novel, a proper outline is extremely important. It helps you to bring a proper structure to the main concept and then you can add to it. A business proposal is one of the most important parts of any written text, be it a short composition or a major work of literature. It would not be wrong to say that often this is your first initiative towards gathering your thoughts, taking forward a plan with constructive strategy going forward. So even while you are writing a proposal for your enterprise, the business proposal outline is a very crucial element in the entire scheme of things. Often the final shape of your business proposal is very closely linked to how effective the outline is? This is because when you proceed along an outline, you are more or less sure of moving along a set structure and more prone to follow a format that can interest investors and various lenders. What Are the Key Components of a Business Proposal Outline? While there can be some exceptions, a typical business proposal would have at least ten primary sections in its outline. In addition, there are 23 sub-sections too. It is needless to mention that once you get these various sections and subsections in place, filing then up and completing the entire business proposal does not take a very long time. You have only to create content in accordance with the section. And you would have the entire proposal ready in a matter of hours. This is primarily the first part of any well-formatted business proposal. Often it is known as the essential window to the entire proposal. If the readers do not like the executive summary, it is unlikely they would get past the rest of the plan properly. It is more like a window to the entire business proposal. Therefore it becomes a rather significant part of the business proposal. Your outline too needs to, therefore, provide for it in an appropriate manner. This will make sure that all key elements are touched upon. And the core summary of the proposal is not compromised with. Ideally, you can look at starting the executive summary with a precise and clear explanation of the company’s essential business plan. Now refer to the RFP and try to understand the core essence of the client’s problem. Now try to explain how your business seeks to address this problem and why you should bag the order. The ending of the executive summary also needs to be equally impactful. Put up the entire financial estimates list. From expected revenue to the profit projections, this is the most prominent place in the entire business proposal to highlight the financial viability and broad professional worth of the overall business model. In case, you are seeking any specific funding requirement over the next few years. This is the right forum to raise the subject. Be clear in your estimates, projection and requirement. This will convince the client about the financial viability of the claim that you are putting up as well. The second most important element of a business proposal outline is decidedly an overview of the company and its business fundamentals. You can detail out a broad history of your company, how it was conceptualized, how it came into being and the primary highlights in terms of the key achievements of the enterprise thus far. This is also the exact spot in the entire business proposal to specify the kind of legal standing that the company might have. Especially the past accomplishments of your company are of great importance. This gives a fair idea to the client about the business worthiness of your establishment. This also makes sure that the potential for your future success is closely associated with the kind of success that you have experienced in the past. The client also gets a realistic view about the kind of value addition that your induction in their team can mean. We move from specific to generic in the next lap of business proposal outline. You must realize that the outline is created to make sure that the content of the business proposal is as comprehensive as possible without unnecessarily making it too boring or unusually long. The importance of industry analysis is also relevant to draw inferences about industry-specific growth parameters. It is also relevant to and where your business enterprise stands in comparison to the competition. Now this industry analysis can be divided into two sub-parts. They address completely different aspects of industry dynamics. But they are also an integral part of the overall analysis of business worthiness of a specific concept that you might be presenting to your client. In this subsection, you present the key market dynamics that business operates in. In any business proposal outline, this is a key sub-sect that helps the client understand the kind of market dynamics that the company operates in. 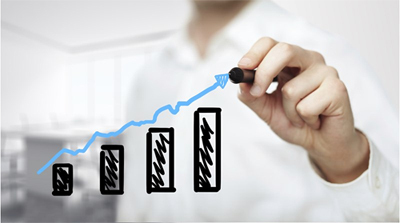 It specifies the key size and the unique characteristics of the market that the business operates in, the primary factors that decide the sectoral performance and the parameters that decide the overall success rate of the business. This will also give your client a fair idea of the market trends that need to be kept in mind while deciding a business strategy. Details like the business prospects of the publishing industry in your area. The average turnover of the entire publishing business. The number of books that you publish every year. The number of books published by the industry in general. The next key ponderable is, of course, the market size that you operate in. There are many reasons why it forms an almost indispensable part of any business proposal outline. It gives the client an understanding about the maximum revenue that your company could generate, if it had 100% share and also the maximum amount of customers that you can target at any given point of time. All these form an extremely crucial list of considerations that you must take into account when deciding on the business opportunity that a particular enterprise presents itself. When you are putting together a business proposal, the next key factor to take into consideration is undeniably the kind of customers that you can aspire to garner for your business. Apart from the market, the customers are the next most important consideration for any business proposition. It helps you identify the viability of the business proposal that you might be floating and gives you a realistic view of the kind of profitability that you can target overall. So you must make sure that you include a subsection about the target customers. This is the fundamental law of any business. It is not just sufficient to float a business idea. It is also important to understand the kind of people who would be ready to buy your offering. You should also know the maximum number of people who would actually understand or appreciate the need for the product/service that the business is offering. This is important for the client to whom you are presenting your business proposal. This is because it gives the client a fair idea about the potential scalability aspect of the business and also the demographic dynamics that the customer profile presents. You must understand that both demand and scalability of a business is closely related to the relative demand-supply matrix. This is why your business profile outline almost makes it mandatory to include details about why the target customers need your product offerings and how you can offer them a reasonably good quality of product and service. Reliability, comfort, business viability are all interlinked with this key question of customer need and demand dynamics. As a result, it is important to highlight the advantage that you have vis-a-vis addressing customer demand. This can convince the client, not just for the demand profile for your product, but also the relative profit prospect and the viability of associating with you to address their problem. Your customer reach can sometimes even indicate your troubleshooting abilities as an enterprise and the kind of good will that you will be able to generate or that you already enjoy. Now why does competition figure in your business proposal outline? Well, that is because when you are taking into account the complete business prospects, competition and how you fare in comparison forms a very important part of the game plan. A huge range of business dynamics come into play, and the way you can tackle competition also goes on to identify the profitability element for future. But competition is not uni-dimensional. There are many aspects to this entire competition aspect. There could be some direct factors and other indirect contributors to the overall competition elements. This is the place where you have to list out the potential companies which offer direct competition to you. Essentially they cater to the same set of customers that you are catering to and probably offering the same gamut of services that you might be specializing in. An example of this could be P&G and Unilever. On a global basis, their product range is similar; they are also addressing a similar set of customers. But the fact that they are still sustaining as strong brands individually across geographies highlight their competition strategy. In the same way, your business proposal outline needs to include the strategy that you are employing to tackle this type of direct competition. Also, outline the relative strengths and weaknesses of your competitors and how you fare vis a vis them. Direct competition is relatively easier to comprehend. For example, if you have a grocery store, the kind of competition that you face from other grocery stores in the area. But when I am talking of indirect competition, I mean the kind that you might be facing from a medical store next to you or an eating joint with readymade food options might present. Your business proposal outline needs to carefully take into account these competitors and how you plan to deal with the competition. The next key factor that you must keep in mind is how to outline your preparedness to deal with competition. That factor alone will help convince your client about the possibility that you can book profit and also the fact that you can offer them a sustainable alternative to solve their problem. You must clearly outline your strategy to deal with both direct and indirect competition in your business proposal. Marketing is one of the key pillars to base your business upon. Therefore, it is but obvious that the business proposal outline will prominently account for this particular pointer. You must understand that however or whatever factors you might base your business, the absence of a proper business plan can impact the overall profitability to a large extent. In fact, the absence of a proper marketing plan can also result in severe losses in terms of inappropriate pricing and inaccurate allocation of resources that need to be kept aside for each of the separate subsection under marketing. So what are those sub-parts of marketing that need to be highlighted in your business proposal? You must give details of various products and their pricing specifics. Also, list out how your pricing stands in comparison with competitors and if you have undertaken any specific pricing move to tackle the competition. These elements are crucial pointers in your business proposal outline and are aimed at providing a far constructive understanding of your business strategy. It also clients better guess if you are a premium brand in the market or relatively low-cost player. But just pricing is not sufficient in itself. It should be provided hand in hand with a broad outline of various products and services that you offer. This is particularly important as the client can gauge the relative volume Vs value offering that you can generate. This will also help them understand what kind of value addition your business manages to bring forth to you and by extension to them. Marketing is never just about the direct selling of products. This also includes the broad outline of the promotion initiatives that you might have undertaken. Promotion is most important as the client would need to have a fair idea about the reach of your business and how exactly do you manage to maintain or continue to have this reach. So it could be promotion via print or television, WhatsApp direct promotion or ads that you might have created for the same purpose. This will also help the client understand the broad promotion avenues that they can leverage through you. Apart from making sure that the pricing is mutually decided and well strategized, it is important that customers can buy your products easily. This is where the distribution element comes to play. Are you a business that is taken forward via direct selling or do you distribute your products through local shops? You might also have several distribution partners who would be helping you in taking your product to others. Make sure that your business proposal outline has details of these various distribution factors. Together all of these various elements make for a constructive business proposal outline. They make sure that every element of your running the business is properly highlighted and the potential client gets a comprehensive understanding of the overall business dynamics. These outline also help you gather your thoughts in a proper manner and then steer the business in a profitable manner. As a result, when a potential client floats a RFP or account of their problems that they are looking to address, you can easily provide them with a comprehensively written business proposal. It helps them to chart out your progress in an extremely definitive manner and enable a rather complex and complicated interaction and interpretation of the different factors that enhance the profitability of those who might hire you. A business proposal is after all not just a mere detailing of what business you run or how you run it. On the contrary, it helps a potential client get a ringside view of both specific business as well as the generic industry that you are looking to cater. However, when you are charting out a business proposal outline, there are some basic dos and don’ts that you must follow. They not only improve the quality of the business proposal that you need to create but also help you provide a rather clear picture to the client about the business or solution that you are offering in response to their RFP. These include some detailed as well as some rather obvious misses that we tend to make while creating a mega document. The sub-headers do not just break the monotony of continuous text. But in many ways, they also improve the readability of the business proposal that you are creating. They help divide the text into many sub-parts, and even if someone glances through the document, they will be able to comprehend the broad elements of the entire proposal. It is rather important that the sub-headers are appropriately named to attract the reader’s attention and help them continue with the text for a far longer that one would have normally done. The narration style also needs to be decided along with the business proposal outline. This is because the entire purpose of the outline is to create a better and more acceptable style of documentation. It is the quality of the outline that goes on to play a definitive role in the overall quality of the entire composition. So a conversational style from the word go will ensure that the reader is hooked on to the document and will devote a fair amount of time and energy towards creating it and maintaining its consistency in quality and content. A business proposal outline plays a definitive role in defining the overall picture of your business. Therefore you need to put in proper research and hard work in creating it. This will make sure that you can dish out a quality product with a keen eye on small details and big elements altogether. The research will help you highlight the unique aspects that your business represents. It improves the chance of the business proposal getting accepted in the first available instance. Just copying pasting mere template from the internet would not help you achieve quality. You might consider that just the template for a business proposal outline cannot vary that much. But the fact is your entire document would be based solely on this single piece of the framework that you are creating. A sub-par work will show manifest itself. This is exactly why you must remember that research becomes the backbone of a great outline. The more time and energy you are able to devote, the better would be the outcome of it. Therefore don’t waste any more time and get to work in terms of creating a great content framework. But there are some factors that you must take care to avoid as well. This is because they can impact both the readability of the business proposal and profitability of the business that you are dealing in. 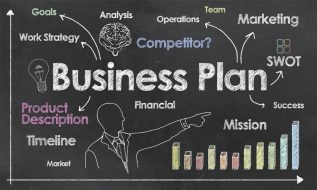 So what are the key avoidable while you are discussing and debating the merits and demerits of a great business plan outline? These include many factors that can make the content boring or a rather dull read. Carefully select all the parts and sub-parts of the business proposal outline. This is because sometimes you might create two separate sub-parts that might mean the same thing or highlight similar factors. While you might think you are giving more information in this process, essentially this would mean that the reader will be reading the same or similar set of information twice. That cannot make for an interesting read. So it is very important to select your content carefully and then based on that, take a call on how and where you place it in the overall business proposal. This way, the outline becomes a crucial factor to base a clear narrative upon. Whether you are creating the simple outline or writing the entire business proposal, it is important not to go overboard. That can impact the relative acceptance of the proposal quite seriously and in many ways, hinder the business growth too. It is very important that you are clear and concise in your overall approach and help maintain a focused perspective in your entire narrative. This can also help the reader or potential client get a lot of information in a very pointed manner and without too much of effort. The idea is the client should open your business proposal, and the fact should be all staring in front of him. A quick search on the internet would reveal that it is never difficult to get access to a business proposal outline template. Almost every single business variant will have a template that caters to the unique demands and possibilities offered by the specific sector. However, that said, it is never a great idea to blindly follow a template and create your outline. Remember that is something the client is any way expecting. What can help is creating a unique outline that totally does justice to the business proposal that you are offering. Therefore, we can conclude that the business proposal outline is often the backbone of a great business proposal. The inaccurate or misleading construct of this framework can severely impact the acceptance of the final business proposal. As a result, when you are creating this final product, it becomes essential to pay attention to details. Careful detailing can often go a long way in determining the quality of the content as well as the profitability of the business going forward. Moreover, a well chalked out business proposal outline always highlights the entrepreneur’s business senses. Often for the client, this outline does not just represent the financial viability and mettle of the business. It is also an important element in understanding the business sense and ability of the entrepreneur involved. However, a cardinal rule while chalking out the business proposal outline is a thorough study of the RFP that you are responding to. This is by far the most important factor that goes on to define the quality of the business proposal outline.